Here are Best movers and packers in Indore - Manish Packers and Movers in Indore are always ready to help you for moving any type of household shifting, residential relocation, commercial relocation and car transportation services, Get best packers and movers in Indore charges and rates and prices info from reputed company in Indore just like Manish packers and movers in Indore. We want to make your "HAPPY RELOCATION" with perfect experts in city with right charges of Manish packers and movers Indore. Are you looking for professional packers and movers relocation services from Indore? Your search ends here. Manish Packers and Movers provides high quality services of top rated packers and movers companies in Indore, complete of packing and moving shifting solutions. For household shifting, commercial relocation and car transportation services in Indore at very affordable and genuine rates. 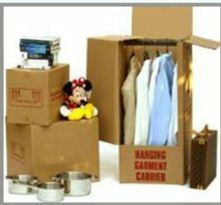 Manish Packers and Movers in Indore specialist household shifting and commercial relocation services provides cost effective packing and moving transportation services across the country, We provide best quality packaging and moving transportation for any type of household goods shifting and commercial relocation services in Indore safe, reliable, and leading professional movers and packers services including of transportation, loading and unloading, unpacking services provider in Indore Madhya Pradesh India. Manish Packers and Movers in Indore India's fast growing an ISO 9001:2008 IBA approved certified packers and movers of Hi-tech chain international most awarded quality reliable and reputed trusted brand in the professional packers and movers company in Indore. We have also provided a lot of information about of household shifting, residential relocation, office shifting, local shifting, commercial shifting, industrial relocation, car transportation, Freight Forwarding Agency, Moving and Storage Services, warehousing & storage, logistics and transportation, packing and moving relocation, business and economy services providers in Indore, We provide best movers and packers services to all over India at very affordable and genuine rates. Manish packers and movers Indore are always ready to help you for household goods shifting in Indore with right charges. Home moving companies in Indore and house shifting services in Indore. Our network from Khandwa, Mhow, Dewas, Ujjain, Ratlam, Neemuch, Mumbai, Bhopal, Chennai, Chandigarh, Delhi, Gurgaon, Goa, Hyderabad, Jaipur, Jodhpur, Kolkata, Lucknow, Bangalore, Nagpur, Pune, Raipur and all over India.